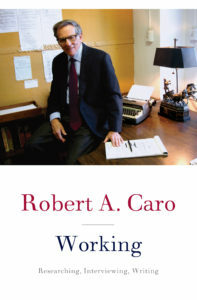 From the two-time Pulitzer Prize-winning author of The Power Broker and The Years of Lyndon Johnson comes Working, a gathering of vivid, candid, and deeply revealing recollections about Caro’s experiences researching and writing his acclaimed books. In the book, Caro recalls the moments at which he came to understand that he wanted to write not just about the men who wielded power but about the people and the politics that were shaped by that power. 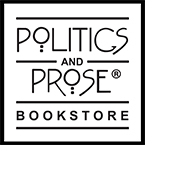 He describes what it was like to interview the mighty Robert Moses; what it felt like to discover the extent of the political power Moses wielded; the combination of discouragement and exhilaration he felt confronting the vast holdings of the Lyndon B. Johnson Library in Texas; and his encounters with people like Lady Bird Johnson, acknowledging the beauty and influence of one of her husband’s mistresses. From years of working in solitude to finding a writers’ community at the New York Public Library, he details the ways he goes about planning and composing his books. Caro reflects on the importance to him of the writing itself, of how he tries to infuse it with a sense of place and mood to bring characters and situations to life on the page. In conversation with Chuck Todd, moderator of “Meet the Press” and political director of NBC News. Book signing to follow.